I love this girl! And I love this song! It’s Ailee‘s cover of the JYP‘s song Don’t Leave Me 날 떠나지마 (performed on Immortal Song 2). I liked Ailee even before she debuted in Korea. I remember enjoying her covers. She has a very good voice and she could belt too! I’ve been watching a lot of her performances lately on Inmmortal Song 2 and I’m loving this girl more and more! For two weeks now, they did covers of JYP songs — songs he sang and those he composed. Last week, I enjoyed Lyn’s performance of Bad Girl, Good Girl in acoustic version. Lyn is very popular for doing this, remember her version of Oh, Heartbreaker, Bo Beep Bo Beep… But just that she has done it so many times in other shows, that it was kind of not the song she should have sung. But enough about Lyn. So Ailee did the cover of JYP’s Don’t Leave Me 날 떠나지마. I was actually looking forward to this performance because it was Ailee and this is my favorite JYP song (yes it’s very very old!). And Ailee nailed it!! It had Park Jin Young vibe! I think even the JYP himself was quite happy with how she sang the song. I just loved it! Ailee is so good!!! And props to bringing Shorry to the performance. Enjoyed every minute of this performance. Since their debut, I really liked this group. and so I was glad that they’re making a come back after more than a year of hiatus. I haven’t really been paying attention to Kpop news — too busy having a vacation and watching all the dramas and movies that I missed. So When I saw this MV I was frantically looking for Day Day. I thought my eyes were deceiving me. A quick google search told me that he has quit the group for personal reasons. NOOOOOO! Sigh.. the group has a new singer rapper, Simon. I have to admit he is pretty good looking, but Dalmatian is different without Day Day!! Oh well I have Daniel and Jisu to root for now. The reason why I liked Dalmatian was because of how they were structured — 3 guys would rap and the other 3 would sing. They were like a nice hip hop pop group. But with this new song, I didn’t really hear a lot of rap. I mean, I know how good singers Jisu and Daniel are, but it sounds a little different to me. Maybe a little more mainstream. It’s too common. Compared to their past songs, this one had lesser rap. Maybe they are changing their concept or something, but it’s just not the same — Dalmatian without a lot of rap in their songs… too different! Wonder what MC Mong would have said if he heard this song. But but but.. on the plus side.. the video was hot! Though a little morbid and stuff (wonder how it feels like to be stuffed in that body bag!). About time they showed off their bodies!! Kya! fan girling! Also, the painted tattoos were not as bad as I thought it would be. I love how they showed off the manly side of Jisu and Daniel! Omona! Jisu.. you’ve matured so much! As usual Youngwoon has the hair that catches your attention! Remember his blue hair? Well I haven’t seen him have long curly locks! Conclusion: Song — good but it’s doesn’t give me the Dalmatian vibe. Video — sizzling hot except for the morbid parts! Just a quick post to honor one of the most important woman in our lives…. our MOMS! 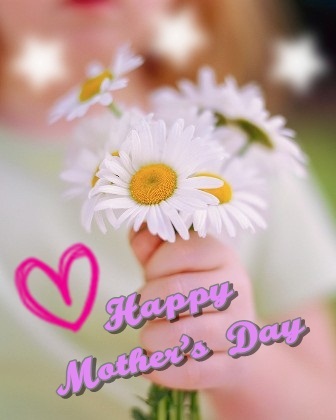 Happy Mother’s Day to all the beautiful Mom’s in the World..
And these two songs are for you all! G.O.D’s first single from way back. This is a sad song by the way, but I kind of like this song because we have to tell our mom’s we love them. I went on a long vacation! But it does not mean I have been missing things about Asian stuff! For the month I didn’t make a post, I have been obsessing watching past and present videos of SHINHWA!!! Shin who?? If you’ve just become a Kpop fan for about a year or two, you probably would not recognize. They were one of whom you would call the original Kpop idols— long before DBSK, Big Bang and Super Junior! They haven’t been around for 4 years or so but they’ve just came back with a new single. And I was watching their videos the whole time even while I was on vacation! Oh blame it on these guys craziness!! I swear they always make me laugh every time they are on variety shows. I think they are called Korea’s original variety idols! But enough said, I am back from my vacation and will be posting more (when I can, because it’s the start of school again in Thailand). And thus, I leave you with my favorite Shinhwa song… Perfect Man.